I just stumbled across this Slideshare presentation by Stephen Taylor, and I think it’s a fantastic resource. He’s done all the research and written succinct explanations, so I won’t try to improve upon his work. There’s something in here for students and teachers of almost every discipline. My friend and colleague Steve Loschi passed along the following Radiolab podcast last night. In our current grade 10 chemistry unit, we’re challenging students to reflect on ways that chemistry has changed our world. 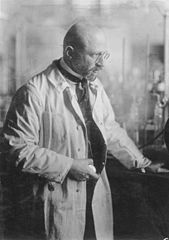 The story of Fritz Haber’s work is not only a great example of how scientific inquiry has had a massive impact on human society – some would argue that Haber’s discovery is the greatest discovery in human history – it’s also an intriguing tale of humanity and unintended consequences. Have a listen. Mitochondrial eve discovered! (Well, a close relative of hers, at least.) ‘Mitochondrial eve’ is the name given to the theoretical common ancestor of all humanity. The DNA in mitochondria don’t replicate or mutate the same way as ‘normal’ DNA in cellular nuclei, and it’s also inherited solely from the mother. This inheritance pattern means that it’s the most reliable way to trace genealogical relationships in people. Awesome. 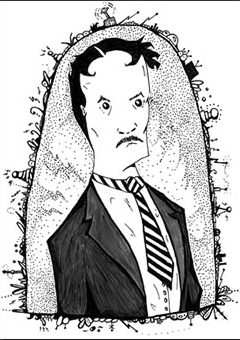 Nikola Tesla portrait via The Oatmeal. Here’s another link to Tesla’s story, but be warned: it’s distinctly NSFW and gets consistently blocked by my school’s web filter. Regardless, it’s a great and entertaining tale by the creative genius behind The Oatmeal comic.